Which of the following men was not executed on 17 May 1536? Great job! Thomas Wyatt was not executed on 17 May 1536. Wyatt died on 11 October 1542 from natural causes. Thomas Wyatt was temporarily imprisoned during the downfall of Anne Boleyn but he was not one of the men executed. Which of Henry VIII’s wives was the first English queen who published a book under her own name? Yes! Kateryn Parr’s book Prayers or Meditations became the first book published by an English queen under her own name. Unfortunately that is incorrect – Kateryn Parr’s book Prayers or Meditations became the first book published by an English queen under her own name. Who was executed on 28 July 1540? Yes! Thomas Cromwell was executed the same day that Henry VIII married Catherine Howard at Oatlands Palace. That is incorrect. Thomas Cromwell was executed the same day that Henry VIII married Catherine Howard at Oatlands Palace. 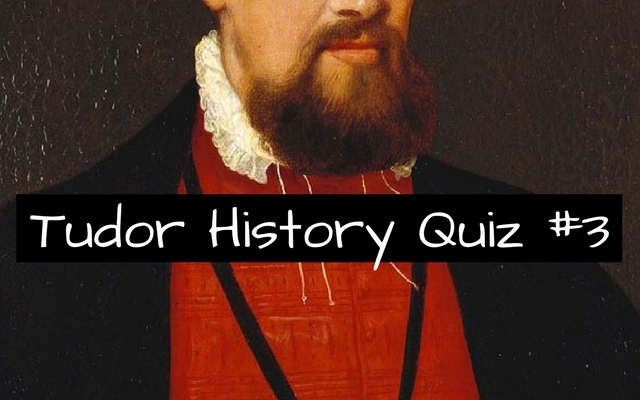 Which of the following conspirators was not arrested after Queen Mary claimed the throne from Lady Jane Grey? Correct! Frances Brandon, Duchess of Suffolk was the only one who was not arrested even though she was involved in the conspiracy. Incorrect. Frances Brandon, Duchess of Suffolk was the only one who was not arrested even though she was involved in the conspiracy. Which of the following women did not have a romantic relationship with Robert Dudley? Correct! Elizabeth Throckmorton was linked to Sir Walter Raleigh and not Robert Dudley. Incorrect. Elizabeth Throckmorton was linked to Sir Walter Raleigh and not Robert Dudley. Whose final words were, I die the king’s good servant, but God’s first? Great job! Those have been reported as the final words of Sir Thomas More prior to his execution. Incorrect. Those have been reported as the final words of Sir Thomas More prior to his execution. Which of the following ladies did not serve Queen Elizabeth I? Correct! Anne Parr died February 20, 1552 and did not serve Queen Elizabeth I. Incorrect. Anne Parr died February 20, 1552 and did not serve Queen Elizabeth I. What event happened on the 1st of September 1532? Queen Elizabeth I was born. Henry VIII fell off his horse during a jousting accident and was unconscious for two hours. Anne Boleyn became Marquess of Pembroke. Great job! It was on the 1st of September 1533 that Anne Boleyn was raised to Marquess of Pembroke. It was on the 1st of September 1533 that Anne Boleyn was raised to Marquess of Pembroke. Being one of the most prolific builders in the history of the English monarchy. Owning the most clothing of any English monarch. Henry VIII is most definitely known for being married six times and beheading two of them – he is also known as one of the most prolific builders, after King Edward I. True or False? Thomas Cranmer performed the secret wedding of Henry VIII and Anne Boleyn? Mr. Rowland, the King’s chaplain performed the ceremony. The wedding was so secret that not even Cranmer was invited.